The Aquaman Bitz is constructed of Yamamoto #39 with a number of technical innovations created by Aquaman. 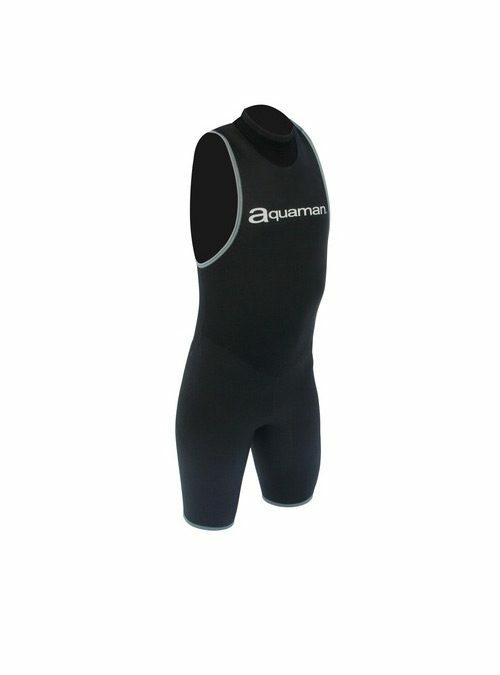 This very flexible and supple wetsuit is well liked by triathletes because it improves performance at a very reasonable price. The collar is a new “Revolving Collar” which positions the front of the collar forward by 20 degrees and is 2cm lower allowing for more comfort and reducing the entry of water through the collar area. Another feature is the Flash System on the back of the neck to prevent chafing and aide in the opening of the zipper. The suit is made with 17 panels to give a snug cut. The torso is made with #39 Yamamoto treated with SCS and Smoothskin neoprene on the upper legs, rear, and back. 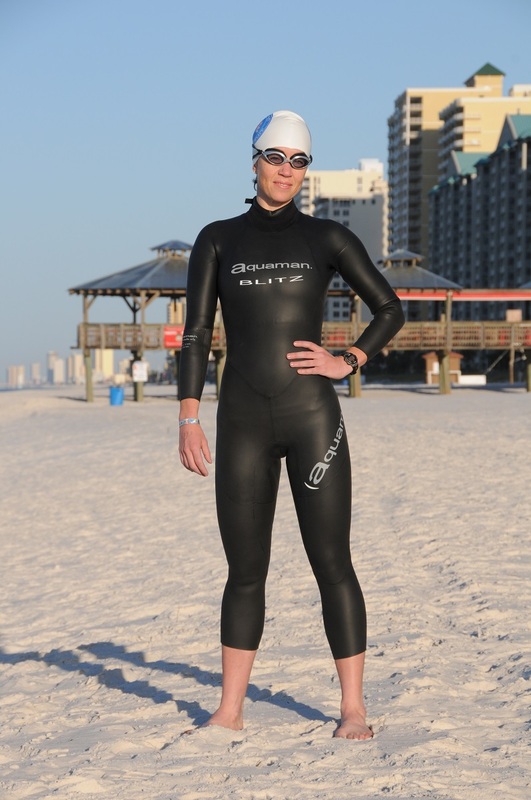 The shoulders are made with #39 neoprene and the Ultraflex textile on the inside to provide great flexibility. The forearms have the “Aero Design Propeller” to provide a better catch of the water during the pulling phase of the stroke. Like most Aquaman models, the zipper on the back opens from bottom to top.